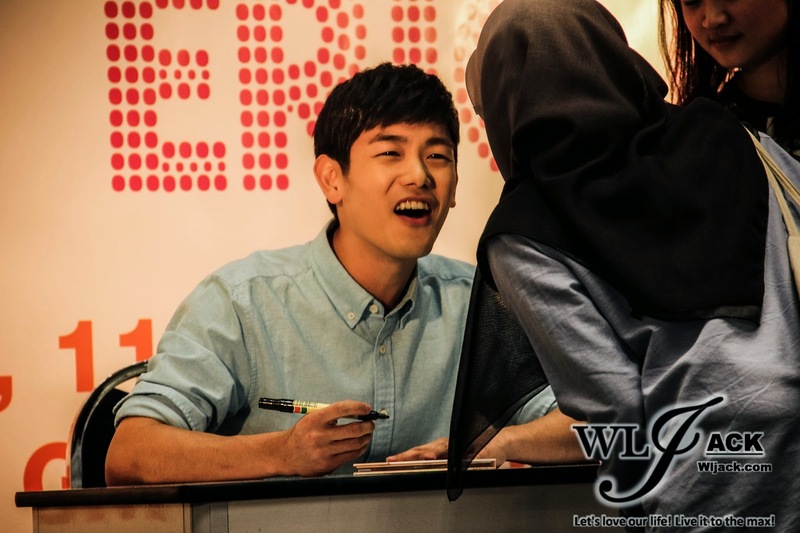 Kuala Lumpur, October 2014 – Eric Nam, 에릭남, Korean-American soloist has arrived at Malaysia last weekend for a public event as well as a LIVE Showcase. 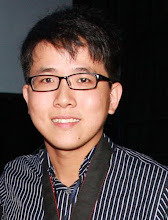 Our team from wljack.com and loong-updates.blogspot.com have been given an opportunity to do a coverage on the public event at Klang Parade. Meet And Greet The Fans! 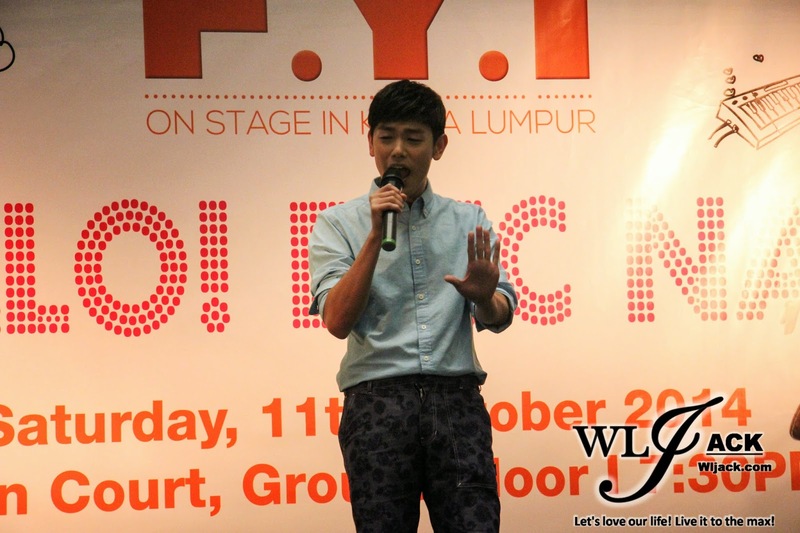 The event was held one day prior to his mini showcase “F.Y.I On Stage Hello Eric Nam” which was set to take place at Chatime Galleria, Puchong on 12th October 2014. Before he arrived at the stage of Klang Parade, the host emcee of the day has interacted and played some games with the fans. 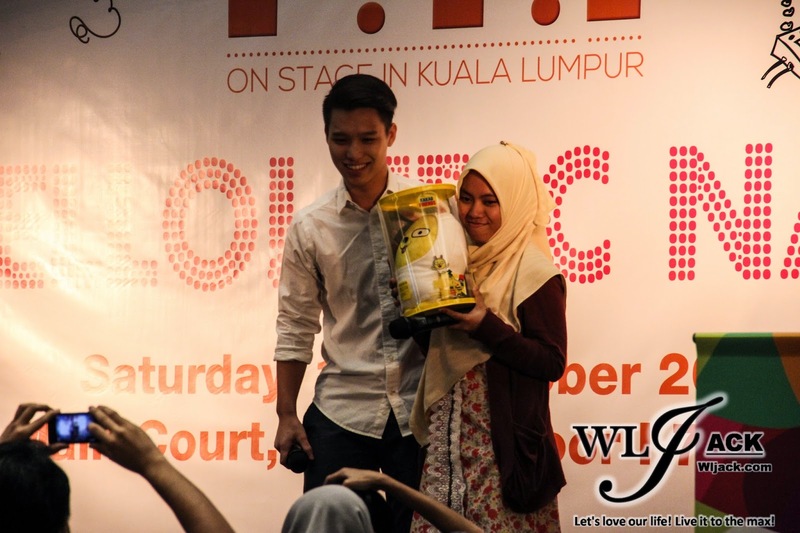 Some of the lucky fans were able to win away the exclusive Kakaotalk Dolls! Everyone was cheering and shouting his name “Eric” to welcome him on stage. Without much delay, he came on stage and greeted everyone who was present at the venue that night. Hope This Is The 1st of Many Trips! 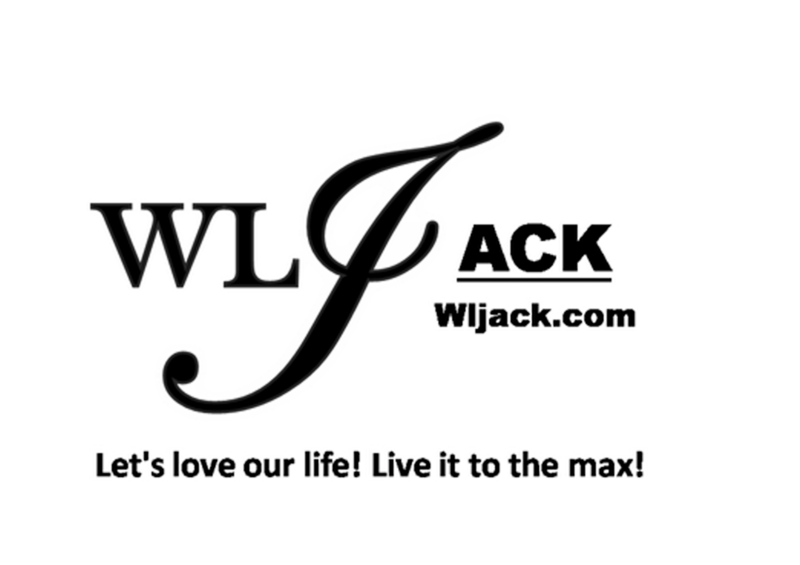 Love The People and Food! Eric said that the people in Malaysia are very friendly and nice. He said that the food was very good too and he hoped that this was only the 1st out of many trips he would be having to our country. 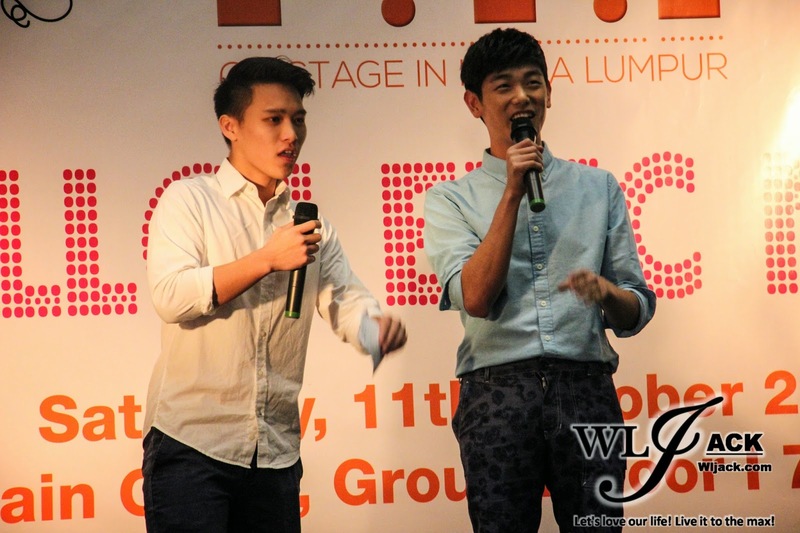 Asked further by the emcee, Eric tried to recall the Malaysian food which he has taken that day. He said he has tried one dish with rice wrapped inside the banana leaf. No doubt it should be “Nasi Lemak”. All the fans answered the name of the food as he tried to recall the food name. Besides that, he also tried a type of brown cake with coconut which was quite sweet. Some fans replied it’s “Kuih”! Then he also tried a chicken curry pastry and everyone responded with the answer of “Curry Puff”! He has also taken a meal at Nando’s. Played Arcade Games! Met Fans Who Gave Him A Candy! One of the many things he did once he set foot in Malaysia was to play some arcade games. He played the games for a while and he finally gave up after losing for many times! He also met some fans prior to his appearance on stage. One of them even gave him a candy with a minion’s tattoo inside. He didn’t have such a tattoo for almost 15 years and he liked it! Eric Nam Danced On Stage? Eric Nam mentioned that he has to dance in the music video of his new song “Ooh Ooh”. He admitted that he’s not that good in it. However, the emcee requested him to dance on stage. For the fans, he has no choice but to dance spontaneously by doing some salsa. However, it was a brief one because he scared that his hip might get dislocated. He also shared with the fans that he hopes to tone down his upcoming new song. He wished to sing new song that is ballad style and more emotional. 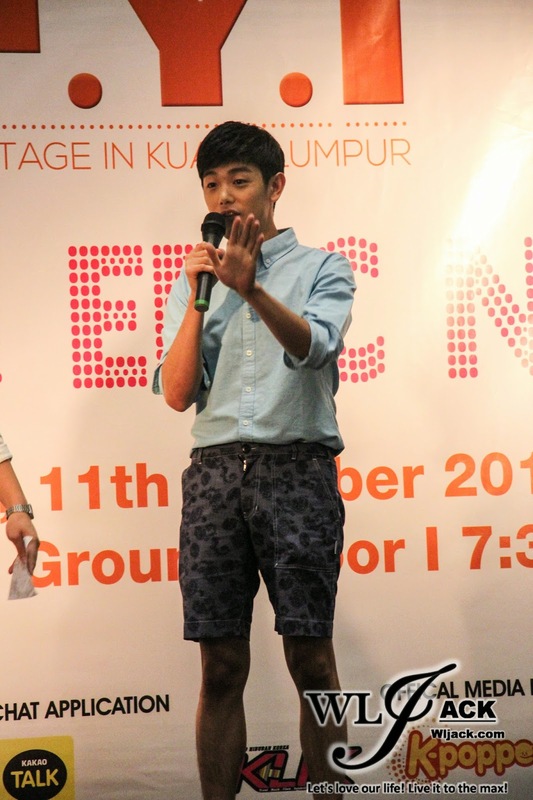 Eric Nam also prepared a singing performance for the fans. He sang his debut song “Heaven’s Door” and he asked the fans to do the hand motion he did during the song. During the public event, Eric also didn’t stop in showing his love to the fans. 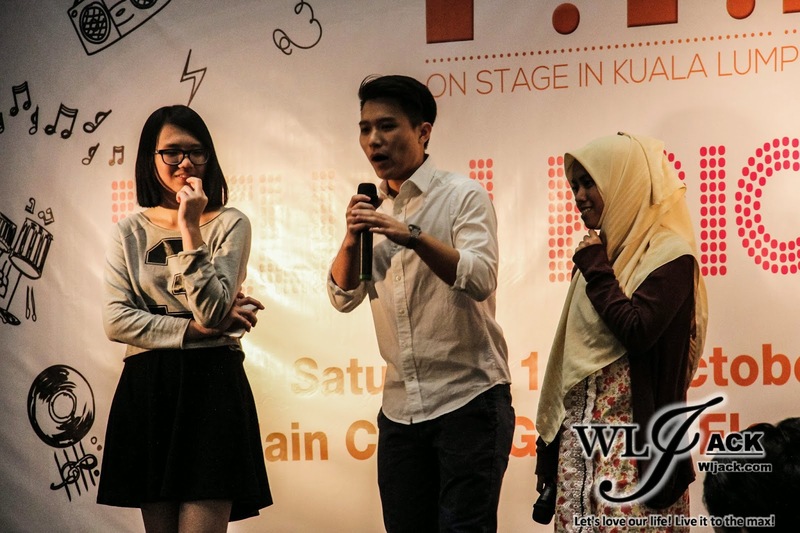 He showed them the love sign and also said “Saya Cinta Padamu” in a few different tones from the bottom of his heart. Answering Questions Directed by Fans! 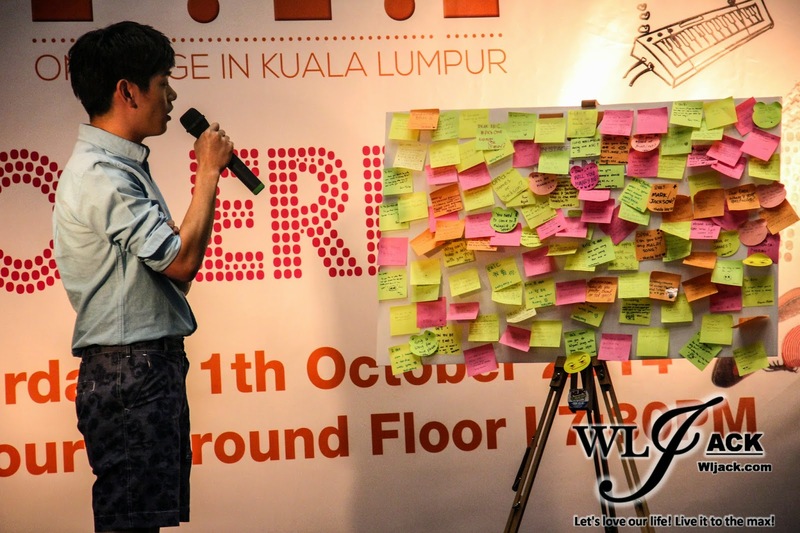 Besides all these, there was a question board whereby the fans who attended the event have placed their messages for him filled with special request or questions. He has chosen five of the messages and responded to these five lucky fans. One of the request was to ask Eric Nam to perform “Eyes, Nose, Lips” and he did responded the request by singing the chorus of the song. Another fans requested for a hug and yeah, he asked the fans to come over closely and he hugged her. Another question was a bit funny as he was asked whether he preferred “Coffee, Tea or Me?” He answered definitely “you” to the fans who dropped this message. Of course, he also revealed that he loves coffee and would drink up to 4-5 cups of coffee per day. He was also asked whether he likes Mark or Jackson better. Wise in answering the question, he asked the fans back whether they preferred Mark or Jackson. The fans seemed to like Jackson better. 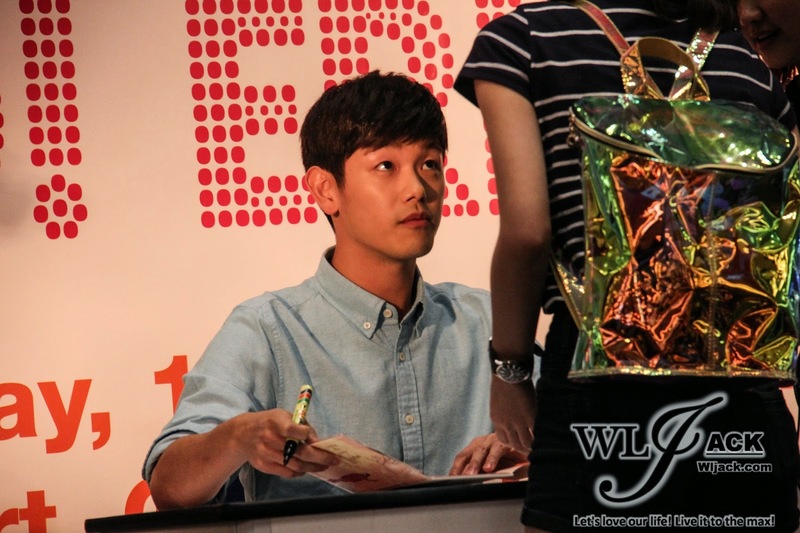 The event proceeded with an autograph session and all of the fans were queued up happily to get up-close with Eric Nam.